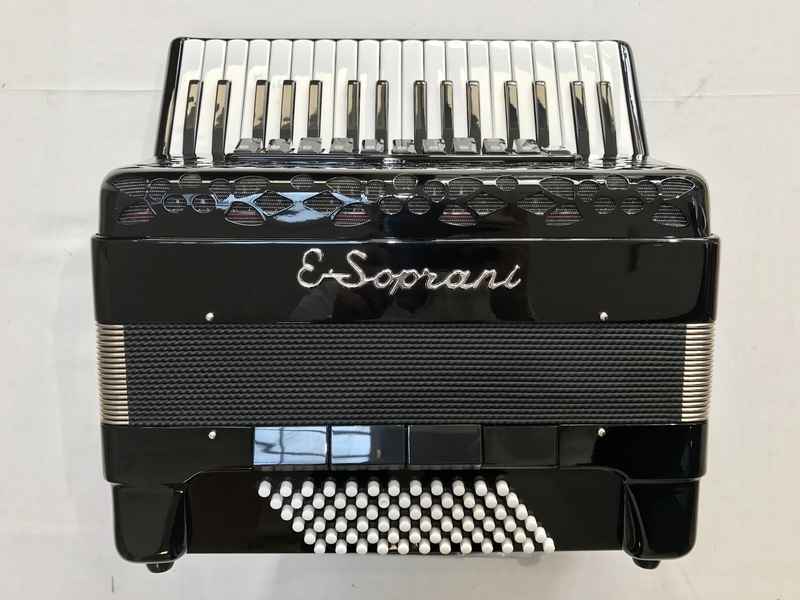 A great quality E Soprani 72 bass musette accordion from E Soprani, fitted with a four voice musette tuning. 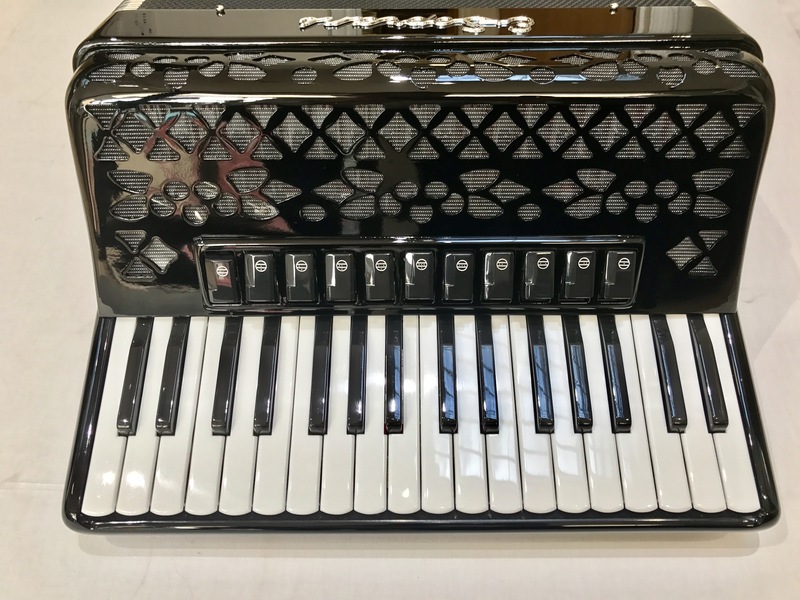 This well built E Soprani 72 bass musette accordion is designed and finished in the Italian town of Castalfidardo the the highly respected Paolo Soprani factory, the worlds oldest accordion maker. 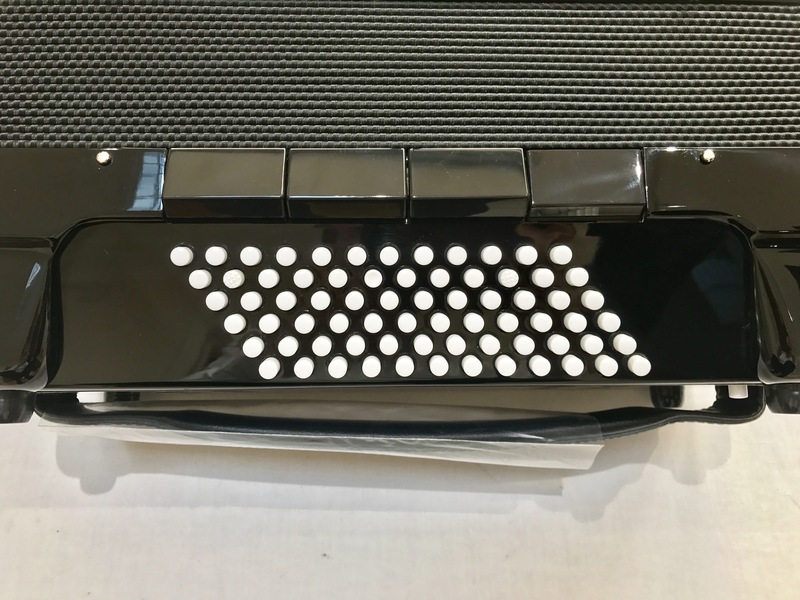 This mid size instrument would be ideal for the French and Scottish styles of playing, or indeed anybody who wishes to have the true four voice musette tone without the size and weight usually associated with the larger accordions such as the 96 bass or 120 bass models that are often found. This E Soprani 72 Bass Musette Accordion comes complete with your choice of either a soft gig bag or a hard case, padded shoulder straps and a five year component parts guarantee. 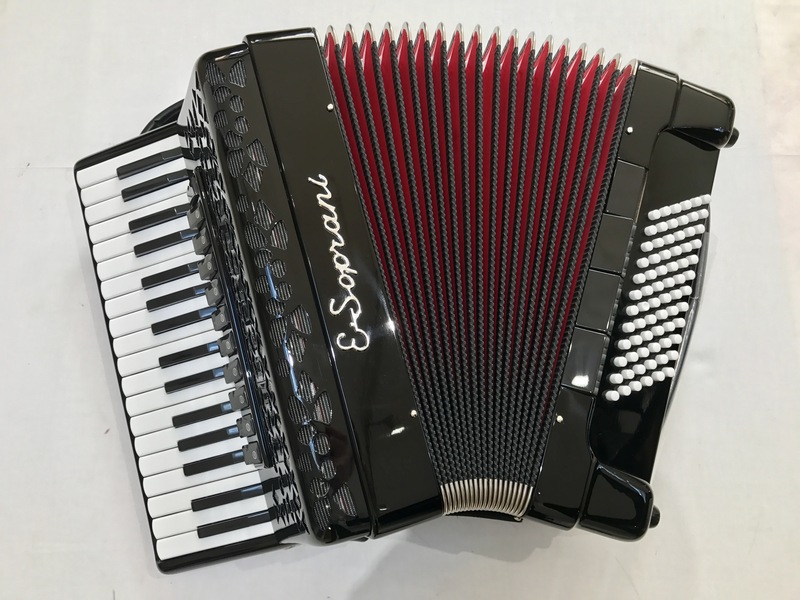 Don’t forget, free delivery of this E Soprani 72 Bass Musette Accordion to most parts of mainland UK is included in the price! Weight: 9.53 Kg. - 21.4 Lbs.